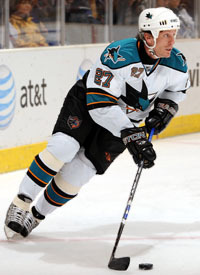 I would say that Jeremy Roenick is the best ever American that ever played in the NHL. Born in Boston, he played 18 seasons in the NHL finishing with 513 goals and 703 assists. Among American-born players, he is second only to Mike Modano in career scoring. 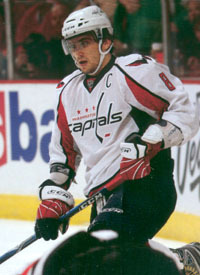 In 2010, he was inducted into the United States Hockey Hall of Fame. While Alexander Ovechkin is still only 26, I think he has already established himself as the best European-trained player to ever play in the NHL. He as been voted by the players as the league's Most Outstanding Player three times and has has won the Maurice "Rocket" Richard Trophy for being the leagues top scorer twice. Located in Reading, Pennsylvania, the Reading Royals are in the Atlantic Division of the ECHL's Eastern Conference. The Patrick J. Kelly Cup goes to the team that wins the playoffs of the ECHL. The Kelly Cup has been awarded to teams since 1997.